Today I bring you a picture made out of pure Heavy Metal Fandom. 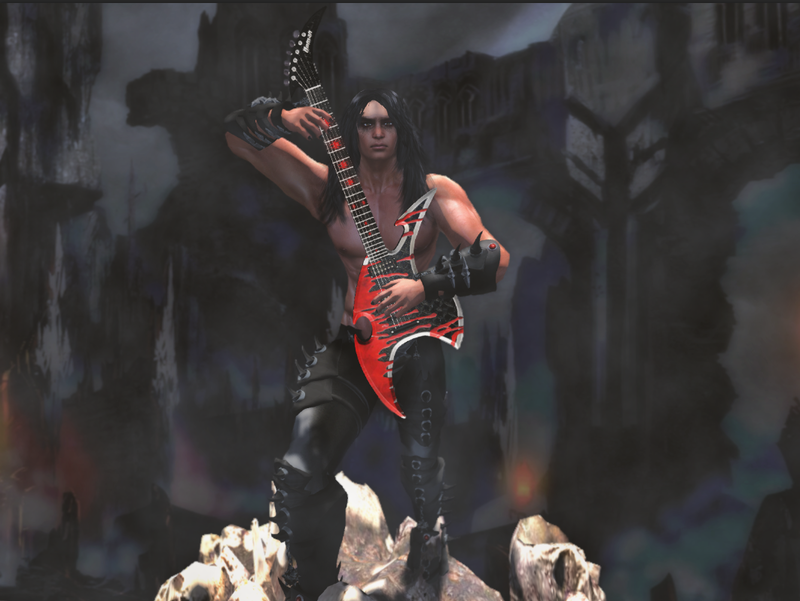 [TF] Tamiron Forge is a new sponsor, and I thought, what better way to honor this designer, OD Designs , and to honor Heavy Metal, than to do a classic album cover. OD Designs creates the most detailed interments in SL, and has partnerships with real brands such as bc Rich, Schecter, Breedlove. Please VOTE ON THIS PHOTO at OD Designs in the back of the store. The Voting is free, one vote per day, and last untill Feb 22nd. Brutal Heavy Metal Albume cover with custom made animation by AJ. Concept: Original idea, guitar, and outfit by Othar Markstein. Pose and other finishing work by PJay Adder. Rest of style Sheet is censored due to working for a band.